This post is sponsored by Cricut. All options and text are my own. 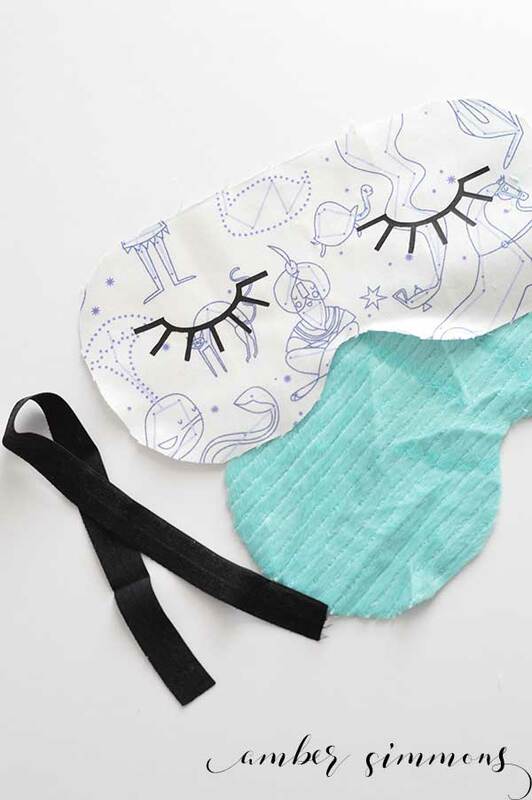 This super cute DIY sleep mask will have you dreaming up all kinds of fun ideas. You guys! 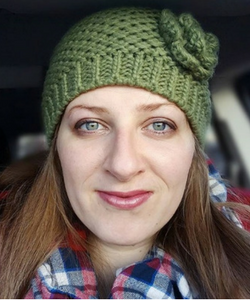 I was chosen to be part of Cricut’s sewing blog tour and I am so excited. I have been interested in the Cricut Air since it came out for its ability to cut a wide range of materials and I finally got a chance to try it out. Can I just say that I love it? It’s a great machine. And the software is easy to use. Plus it cuts so much quieter than I thought it would. And the iron on material? It’s fantastic! I adhered like a charm and I loved that how easy it was to place on my project. Plus it’s SUPER soft and light weight. 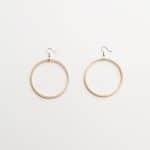 If you are hoping to get one of your own be sure to enter the giveaway at the bottom of this post. Speaking of my project, that’s the reason you are here. Right? This super cute sleep mask is a great project for beginners. It’s small so it comes together super quickly. Let’s get started. First thing you do is download the eyelash cut file. Then in the Cricut Design Studio, you want to start a new project. Click the “upload” icon in the left sidebar and upload the cut file there. 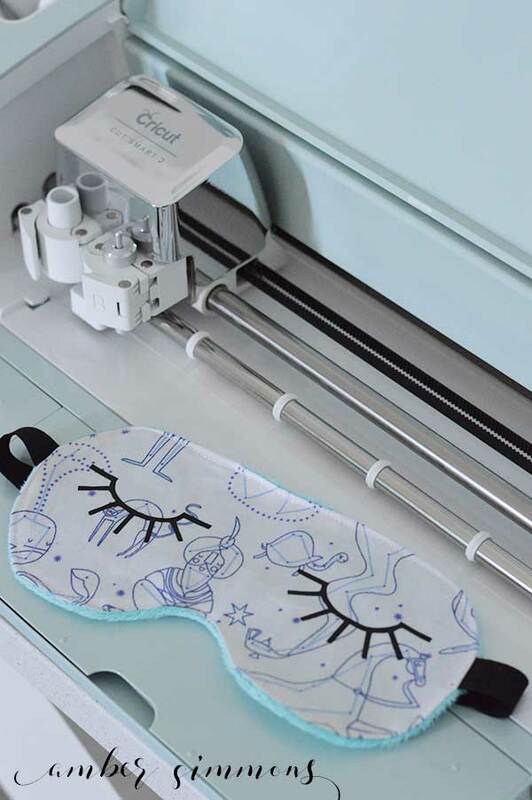 To prepare the eyelashes, place the black iron on onto your Cricut cut mat. Adjust the eyelash shape to be between six and seven inches wide. Mine was around 6 3/4″ wide. Cut and weed your eyelashes. Set them aside. To start making the mask, cut out your template. I cut mine out of muslin so that I could see through it a bit and line up my template where I wanted on the print of my fabric. If you are in love with this fabric it is called Constellations by Lizzie House. I thought it was perfect for a sleep mask. 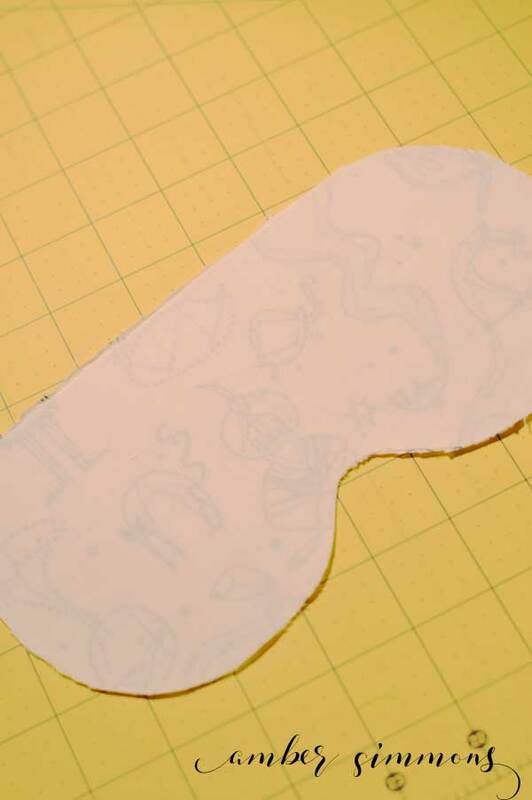 Then you want to use the template to cut the front fabric and the Minky. Follow the directions on your iron on to adhere the eyelashes. 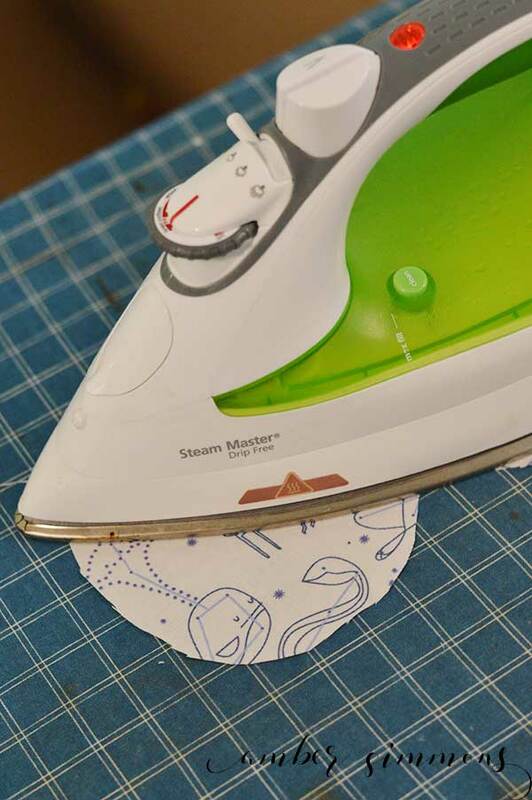 The Cricut directions say to iron your material on high heat. Then place your iron on, lashes side down, on to the material. Iron for a few seconds. Then flip the fabric over and iron from the back. After it cools you can peel the transfer material off. Gather your pieces: front, back, and elastic. 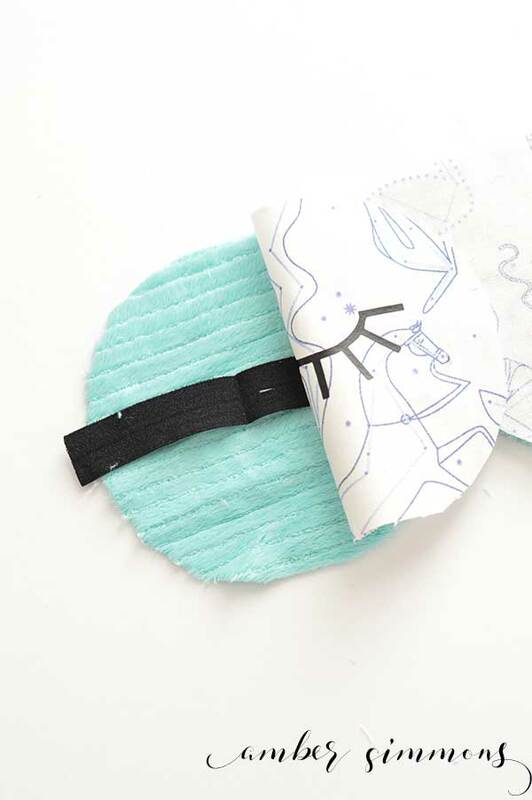 Using the template as a guide for where to put the elastic, place right sides of fabrics together sandwiching the elastic in between. Pin elastic in place. Pin around the edges to ensure the Minky does not move. 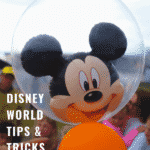 Starting at the top, sew around the edges leaving a 3″ – 4″ opening. I like to reinforce the elastic a bit by backstitching over it in the margin. Turn the mask right side out. Fold the top edges into the opening, making the top edge as straight as possible. Finish up by topstitching all the way around the edge. This serves two purposes. It closes the hole and keeps the mask edge from rolling. And done! Now you can rest a little more easily, no matter where you are or what time it is. I love sleep masks. They are great for nap time. Even though our room has blackout curtains it’s never quite as dark as I would like for a nap. 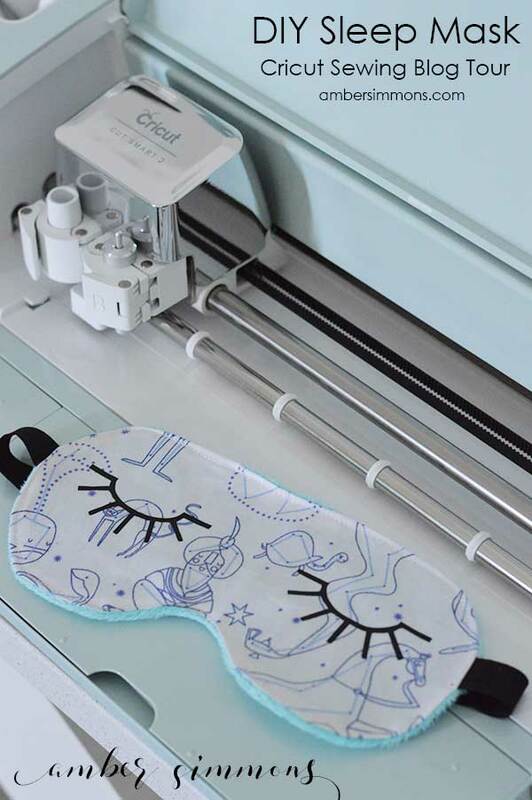 If you liked this project, then you might also like this cute let’s nap pillow from the Cricut Design Space, that also has eyelashes. 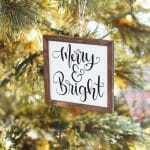 Planning to order something from Cricut? There’s a coupon code ChristmasInJuly for free shipping on all US orders. 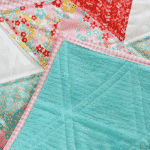 Be sure to check out some of the other in the sewing blog tour. There are some really fun projects. 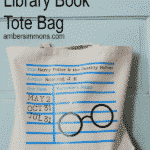 And be sure to enter the giveaway! 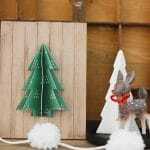 I was invited to participate in the Cricut Party Blogger Program Kickoff. This experience is based strictly on my opinion. Others may have a different opinion or experience with the product listed above. I was provided the sample free of charge by the company or PR agency and I have given my honest opinion. 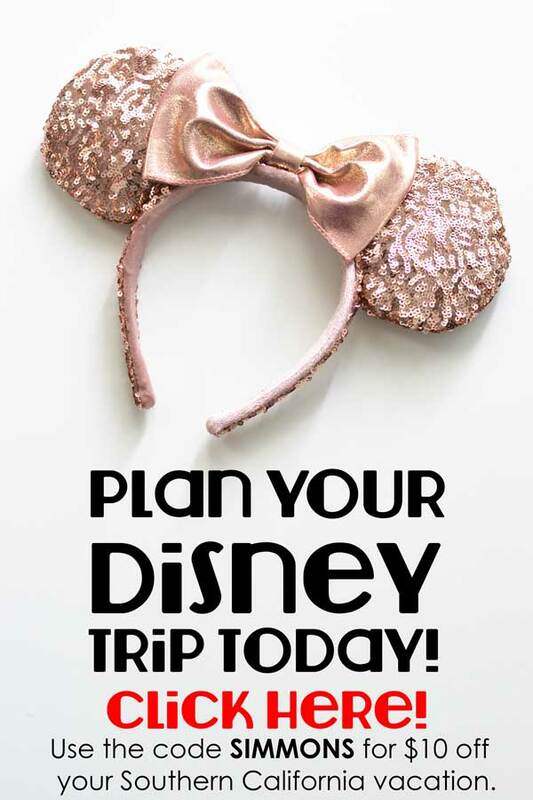 This is SO cute!!! 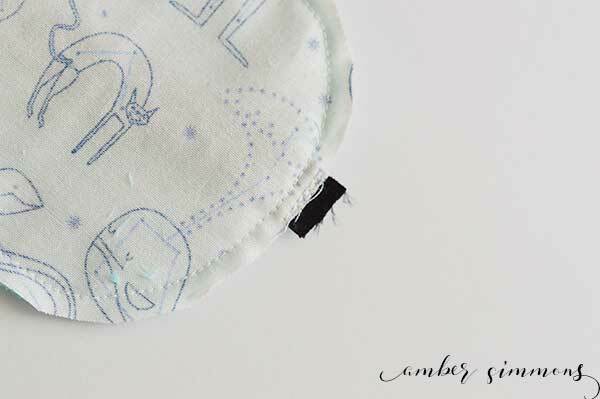 I love the idea of backing the sleeping mask with a minky fabric to make it extra comfy! I can’t wait to make this. Thanks so much for taking part in this tour!! Wish me luck, I have always wanted a Cricut. Super cute and I love that you used Minky! Sleep masks are an affordable natural way to help us get to sleep faster. Sleep mask block out light that may distract when trying to sleep. This is a great tutorial. 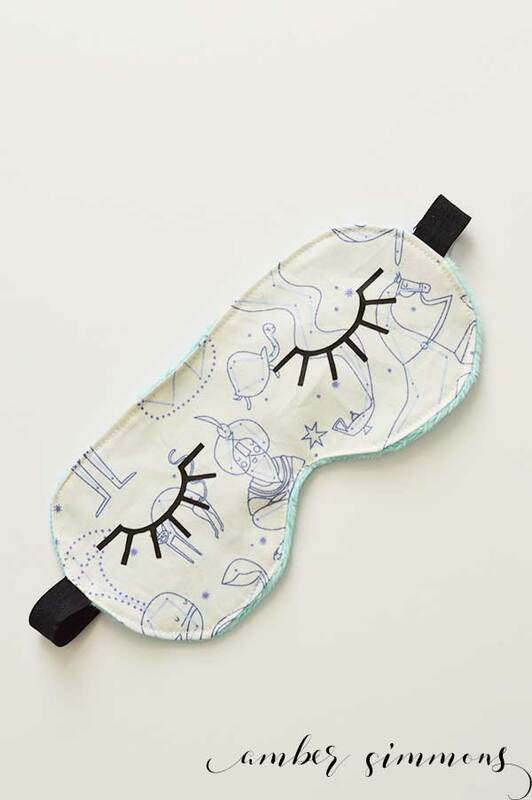 I will definitely make this sleep mask. Thanks for sharing.